Hello! Sakai updated this morning. On the last day Sakai and the development team came out to play in the lobby! A little more than 50,000 or 73% of players participated in this alpha test. 80% of those players reached up to Level 10. There were approximately 23,000 simultaneous connections. There is a lot more data he has to go through but he thanks you all for participating. Be careful though, if you uninstall the game you may lose your screenshots, so please back them up beforehand. Sakai is going to arrange a new Alpha Test 2 Player Report after he gathers the responses from the questionnaire. Here you can compare the results from the first alpha test with the second. However, there are some new questions on this questionnaire. You must complete the questionnaire by Feb 10th, 2012 18:00 JST. 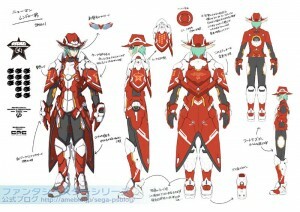 So we haven’t yet seen the concept designs for the Newman Ranger costumes, well here it is! It has a gunner motif, protected in tight armor head to toe. Q1. What Control Scheme do you mainly use? Gamepad and Keyboard is only for chatting. Q2. Which Gamepad and Model do you mainly use? Q3. What Internet Connection do you use? Q4. Please checkmark the titles you have played before. I did not play any of these. Q5. Did you participate in the August Alpha Test 1? Q6. For each of the following entries, please rate from 1 to 5 with 5 being the highest. Game installation including the Launcher great! (5 4 3 2 1) terrible! The whole title sequence from title to login. Q7. From what you played in Alpha Test 2, which aspect should be strengthened the most? Add Something you can raise other than characters like Pets. Improve elements where lots of people can play. Q8. Please choose a service that you would like us to coordinate with the game. Q9. Please choose the service you currently have an account with. Q10. From the following, please select the online game and portal sites you use. Q11. Please write 3 console games you find most interesting. Q13. Which game consoles and handhelds do you have? Q15: Were you able to play this test normally? I could play the game normally, but was only able to do so solo. I downloaded the client but the game did not even start. I wasn’t even able to download it. Q16: What comments would you like to give the development team in 1000 characters or less. We recommend not typing any comments in English. 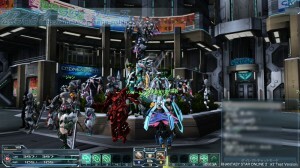 Anyway, this is yet another hint of a console Phantasy Star game in the pipeline that may use character data from PSO2. 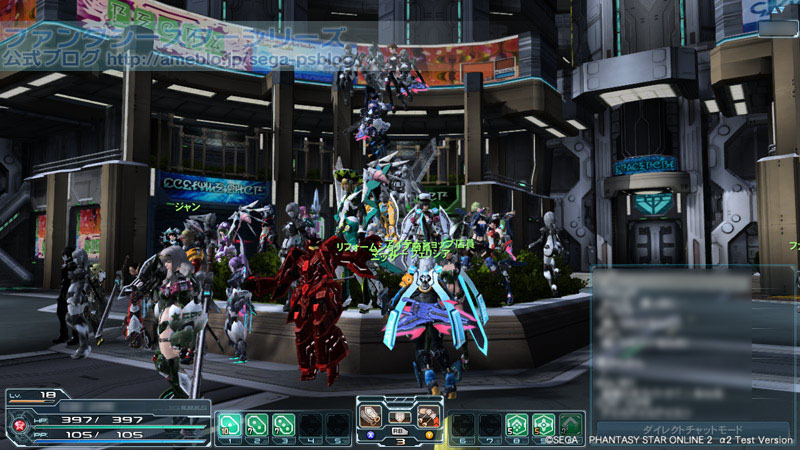 However I strongly believe Phantasy Star Victory will be highly related to PSO2 in every shape and form.